Scouting is an adventure that prepares young people for life, developing character, citizenship and important outdoor skills. Plus, as a Scout, you’ll likely catch more fish, build more campfires, climb more mountains and hike more trails than most youth your age. As a scout, you’ll work your way through the Scout Handbook, attend meetings with your friends and go on truly memorable adventures, like winter camping and multiday river trips. You’ll also learn the importance and personal satisfaction of serving your community, whether that’s by volunteering at the local food bank or planting willows to shore up an eroding stream bank. In Montana there are dozens of scout troops, with some communities having several options. These troops hold exciting events such as banquets, fairs, campouts and, outdoor treks. Parents, friends and leaders play active roles in the program as they help boys gain confidence and achieve their goals, one badge, one adventure at a time. 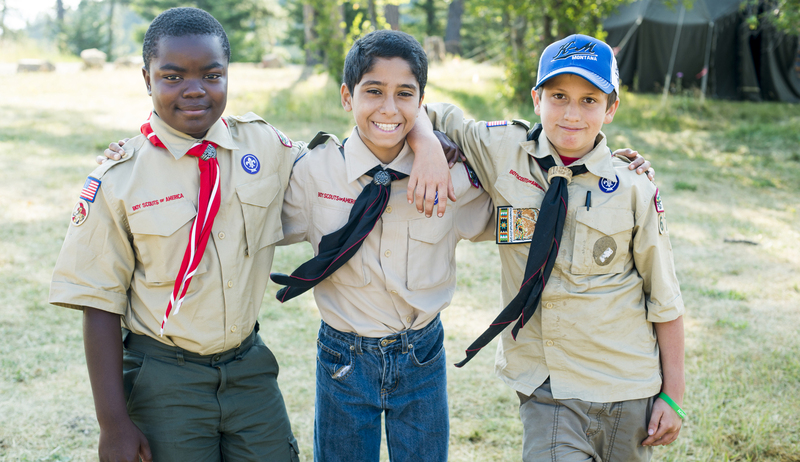 Montana is also home to several of BSA’s premier adventure camps, which are only open to members of the scouts and which attract scouts from around the country. These camps include Grizzly Base, Melita Island, Camp Arcola, K–M Ranch and the Montana Outdoor High Adventure Base on the Rocky Mountain Front. Attending any Montana camp is a recipe for challenge, adventure, fun and meeting new friends. Boys and girls may join Scouts BSA at age 11 and participate through age 17. Many Montana youth transition to the Venturing program at age 14. And those with the skill and character to make it happen go on to achieve the rank of Eagle Scout. Sound fun? Start by attending a meeting in your area.